Admission to the Research and Evaluation Methodology program is based on a comprehensive review of all application materials. The program gives strong consideration to the statement of purpose, letters of recommendation, relevant work and/or life experiences, performance in prior undergraduate and graduate coursework (GPA), and scores on the Graduate Record Examination (GRE). Admissions decisions are based on selecting applicants who demonstrate promise for not only completing their degree, but for becoming a competent professional as well. 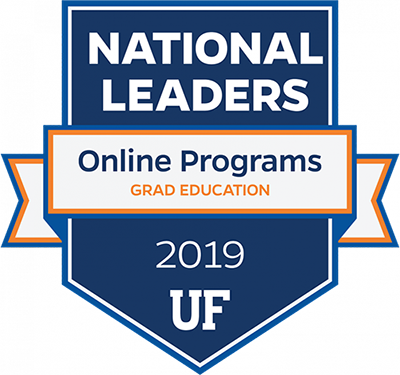 Students admitted for the online MAE program with a major in Program Evaluation in Educational Environments should meet minimum GRE requirements: 153 verbal and 144 quantitative GRE scores. Occasionally, exceptional students scoring below the minimum requirements are admitted. International students from countries whose official language is not English must also submit a score on the Test of English as a Second Language (TOEFL). A TOEFL score of 550 on the paper-based test or 213 on the computer-based test or 80 on the internet-based test is required by University of Florida for admission. These scores are used in the context of a holistic credential review process. More information about requirements for international students can be found at UF’s International Admissions Website.